Zirbel Concrete LLC in Salem, WI is a reliable concrete contractor. Building a new home? Want that extra curb appeal? 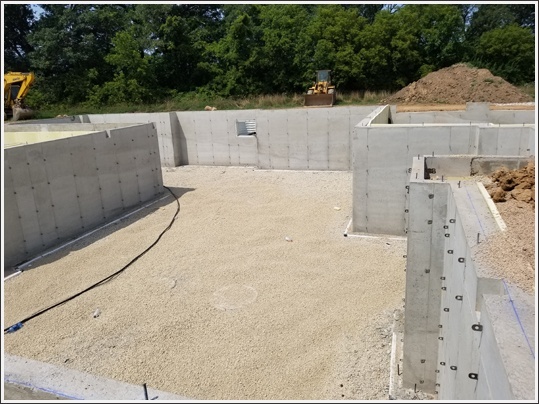 Here at Zirbel Concrete, we will help you with your new poured foundation. Are you looking for professionals to construct your garage floor? Perhaps, you love organizing outdoor get-togethers for family and friends and are considering an outdoor living space within a new garage. We can pour your concrete garage floor and have you on your way. If so, there’s only one name in Salem, WI you should trust with all your concrete service needs - Zirbel Concrete LLC! We are a reliable concrete contractor, specializing in a diverse variety of concrete services, including concrete poured foundations and flat work. Our expert technicians have the knowledge and skills to handle residential projects of any size. We serve the entire Southeastern Wisconsin area.